Do you have Medical Waste Disposal, Biohazard or Biomedical Waste maybe Sharps containers or Needles to dispose of? Then contact Secure Waste we are the authority in, Maryland Medical Waste Disposal, Sharps-Needle waste handling and disposal, other services include Medical Biohazard Waste Management. Servicing, Maryland, Virginia, Washington D.C. & North Carolina in addition to we offer OSHA Training and sharps container sales, we carry a variety of different size sharps containers and other hazardous waste handling supplies. 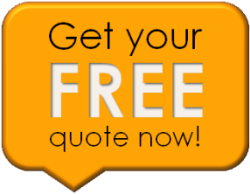 Contact us now for a FREE quote on all your Biohazardous, medical & sharps waste removal disposal needs! 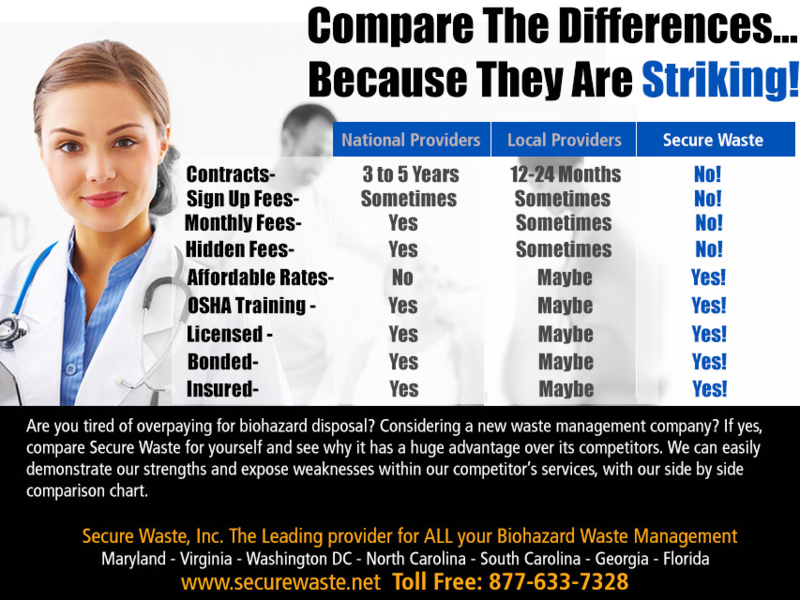 Why Secure Waste for your medical waste management? Secure Waste is the local authority in Maryland, Virginia and Washington D.C. on hazardous medical waste disposal and recycling. We are a full service medical biohazard waste disposal managment company with a proven track record; providing safe and cost-effective (Cradle-to-Grave) management of regulated infectious medical waste in Maryland, Virginia, Washington D.C. & North Carolina. While we specialize in the management, collection, transportation and disposal of medical waste and sharps-needle waste, we also provide services that include, but are not limited to OSHA training, sales of health-care waste handling products, red biohazard bags, Bemis Sharps containers, document shredding, document storage, equipment-computer recycling and hazardous waste stream management/consulting services for a variety of customers in the healthcare industry. What To Do With The Medical Inhalers That Are Used?